One of the most anticipated movies over the next few months, or the next few years, is easily Star Wars: The Force Awakens. The seventh Episode in the epic space opera has fans frothing at the mouth, and even after the letdown that was George Lucas’ prequel trilogy, anticipation and expectations are through the roof for this one. How high are expectations? Well, a new report in Variety states that, according to a recent survey, 63% of Star Wars fans polled expect The Force Awakens to be the best film in the saga. That’s a bold prediction, but those who expect this to be the greatest Star Wars movie ever have their reasons, so we decided to run through them. Take a look at let us know what you think. The original Star Wars trilogy is definitely a product of its time, and the special effects reflect this. 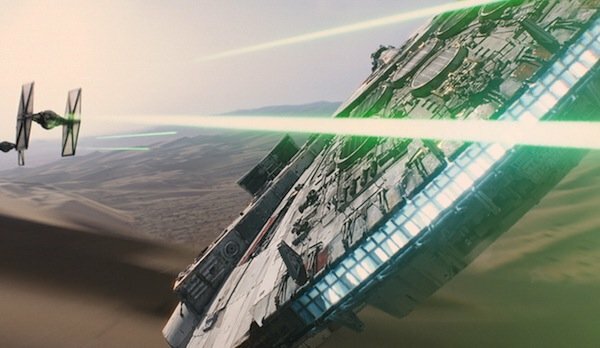 They were groundbreaking for their era (and many fans still love them), but with audiences so used to slick, photorealistic computer generated effects, The Force Awakens promises to take a huge step forward in that regard. We’ve already seen some of this on display in the trailers. Still, it won’t be all CGI, as director J.J. Abrams and company have gone out of their way to use practical effects wherever possible. Instead of the ubiquitous green screen George Lucas employed in the prequels, Episode VII promises to use digital effects sparingly, which will hopefully prove to be a solid mixture of the two sides of the coin, and give the digital creations that much more weight when we do see them. 34% of those polled citied more advanced CGI as the reason The Force Awakens will be the best Star Wars movie ever. At the end of Return of the Jedi, with the second Death Star in ruins and the command structure of the Galactic Empire in shambles, the future looked bright for the Rebel Alliance. Though it was a decisive victory, it was not a crippling one. After that the real work of uniting the galaxy began, and The Force Awakens is going to reflect 30 plus years of that struggle, which will be an interesting story indeed. 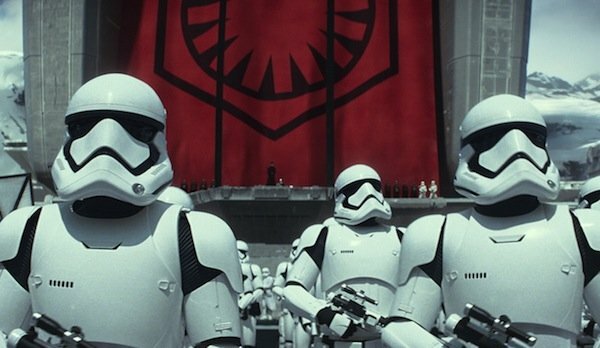 The Empire splintered in the aftermath of Jedi, and now a new faction, The First Order, has risen to prominence; the Rebel Alliance became the New Republic, but now they’re known as The Resistance. How did we get to this point, and what it all means, are questions that need to be asked and answered, and we can’t wait to see what The Force Awakens has to reveal to us. 25% of those polled citied a more interesting story as the reason The Force Awakens will be the best Star Wars movie ever. While the original trilogy was painted as a good-versus-evil struggle for the soul of the galaxy, full of swashbuckling action and high stakes, the prequels got away from that to some degree. We now know far more about the intricacies of intergalactic trade regulation than we ever thought we would, and knowing how whiny Anakin Skywalker can be changed how we look at Darth Vader forever. From what we’ve seen and heard from The Force Awakens, Abrams and Lucasfilm are looking to get back to what made people fall in love with the Star Wars saga in the first place. We’ve seen dashing heroes, lot of action, cool alien creatures, and a nice mixture of classic elements and new wrinkles thrown in for good measure. In short, what we have encountered thus far feels like Star Wars, and that fact has a lot of people very excited. 25% of those polled citied more advanced CGI as a reason The Force Awakens will be the best Star Wars movie ever. 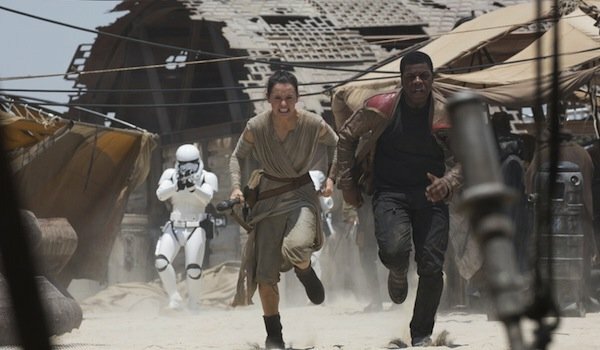 Better than what, we’re not sure, but The Force Awakens certainly does have a fantastic crew of actors in place. 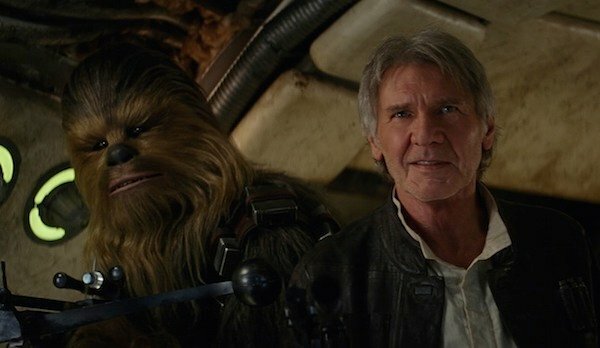 They’ve added talented young actors like John Boyega, Daisy Ridley, Oscar Isaac, Adam Driver, Lupita Nyong’o, Domhnall Gleeson, and more; industry vets like Max Von Sydow and Andy Serkis; and just for the hell of it, they’re bringing back almost all of key players from the original trilogy, including Harrison Ford, Carrie Fisher, and Mark Hamill. So, not only are fans going to get the nostalgic twinge of seeing their favorite characters (who out there didn’t get chills when we saw Han and Chewbacca in the most recent trailer? ), albeit aged a great deal, we’ll also get to meet a new generation of interesting, exciting young characters who will carry the franchise forward. 14% of those polled citied a better cast as the reason The Force Awakens will be the best Star Wars movie ever.